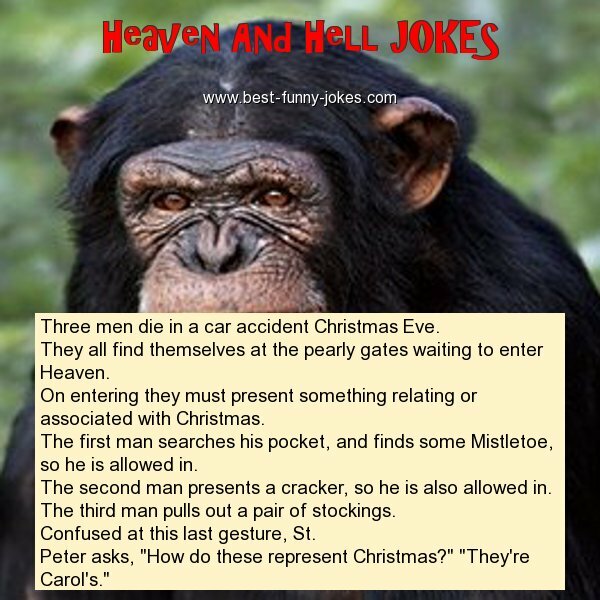 Three men die in a car accident Christmas Eve. They all find themselves at the pearly gates waiting to enter Heaven. On entering they must present something relating or associated with Christmas. Confused at this last gesture, St.
Peter asks, "How do these represent Christmas?" "They're Carol's."